Because it’s easy to explain to students. The entry point is so low. ‘Draw a square on your squared paper. Shade in one small square. Now fill the other space with more squares’. I love that the task lends itself to asking easy questions with hard answers. What’s the most tiles needed? Why? Can you write a rule for this? What’s the fewest tiles needed? Can you tell me a rule for this? Are you sure that’s the best you can do? This task benefits greatly from systematic thought and layout; recording strategies and group co-ordination. Is there any point in everyone working on the same size square? Is it a good idea to have everyone working on different sizes? The ceiling on this task is pretty high. For one subset of squares you can prove that a certain type of tiling is always possible by induction. I’m not sure if there is a rule; every time I have done this task a student has come up with a way to foil any rule his/her peers could come up with. This might put some folks off; but how nice is it that a task that seems so easy can be so hard?? The one problem I have with this task is that it is difficult to link the task itself to specific curriculum points. But if that doesn’t matter to you; or you feel the Problem Solving Skills aspect is all it needs (as I do, sometimes…) Then crack on. And if you find an answer; with a PROOF; let me know! The low entry point for finding the different pentominoes means it can be explained quickly for learners of all abilities. The fact that they benefit from working systematically is great and the discussion over what defines ‘sameness’ and ‘different’ is hugely valuable; particularly if you are going to be studying congruence. The nets of cubes extension to hexominoes builds spacial reasoning and awareness. Getting learners to try to find tilings of rectangles with the pentominoes gets them working on a problem that puzzled recreational mathematicians (the horror on some students faces when they discovered that those exist!) for decades. This can take a LONG time. Make a decision beforehand as to whether you count reflections/rotations as ‘the same’. Think carefully about this; when rotations and reflections are not considered to be distinct shapes, there are 35 different free hexominoes. When reflections are considered distinct, there are 60 one-sided hexominoes. When rotations are also considered distinct, there are 216 fixed hexominoes. So be prepared for students to find hundreds if you allow rotations. Students trying to visualise whether their polyomino makes a net will probably ask for scissors to test it out physically. I always say yes; but be prepared for this. I haven’t used it yet. But it looks awesome. This could easily become my favourite rich task. The step by step intro lowers the entry point and the fact students can use ANY function puts the ceiling WAAAAY up there. If you are starting transformations of functions, linear graphs, conics, anything involving a function in any way I suggest looking at this. This entry was posted in Blogs, Classroom, Lessons and tagged #MTBoS, Blogs, General Maths Thoughts, Lessons. Bookmark the permalink. 8 Responses to #ExploreMTBoS Task 1 – Favourite rich task. Love this, Nik. Thanks for sharing! The fact that there’s not an obvious answer here doesn’t necessarily detract from the task. Like you said, the ceiling is high–perhaps infinitely high! So that makes it interesting for every student automatically. My favourite moment from this was the second time I did it, and I had in my mind the ‘rule’ from the previous attempt. And a student just broke it about 20mins into the lesson. It was AWESOME. Combinatorics questions are great – I think that there could be a way into them as an application for indices – something to think about eh? I can’t count the number of times I have told my students math is not a spectator sport. I thought I coined the phrase. 😉 I couldn’t agree more. Thanks Sabrina! It’s a struggle sometimes to get the students to understand they have to DO Maths rather than it just happening in front of them. It’s a good battle though! 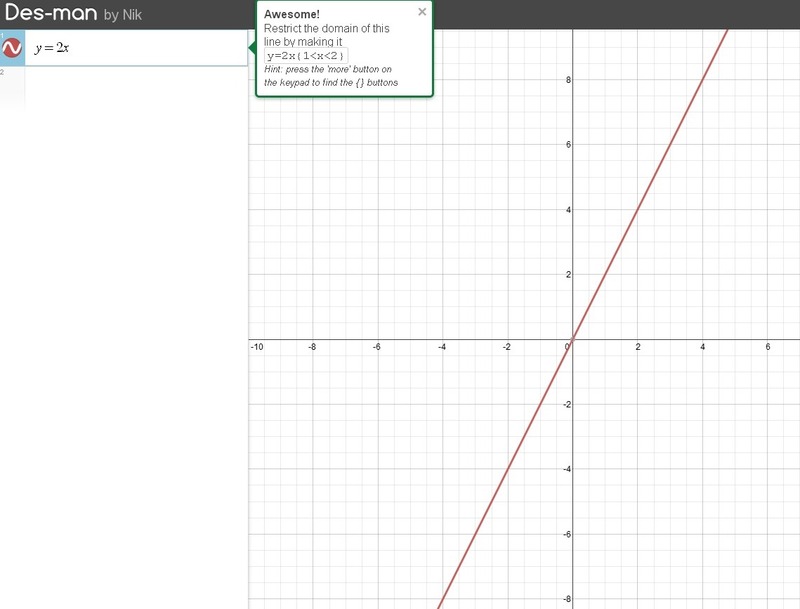 I saw that Des Man activity on the Desmos site-can’t wait to get into that. And thanks for the link to the “patio” task-that looks like one of those things that starts out simple but can go a whole lot of places.